This site includes language words and recordings. We have some Dharawal recordings from the AIATSIS archives, and some new songs and words from speakers reclaiming the Sydney language or Dharug. Also we have some history of the people in the region, to explain their ongoing link to this land. Growing up learning about the language groups of Sydney Basin, we were informed by many distinguished Elder’s Lock, Webb, Simm, Simms, Timberry, Tangyes, Longbottoms, Morgans and Murray’s that there were two dialects recorded. The Buruberongal of Western Sydney Basin is spoken as far north as Kempsey amongst the Dhungutti and the sister tongue Bidjigal is spoken by the families between La Perouse and as far south among the Wadi Wadi- Wumbanji referred to in 2016 as the Yuin. The word Daruk was assigned to the Iyura (Eora) people as a language group or more commonly referred to as the people that sustained their diet by the constant digging of the Yams as a vegetable supplement. The Dark, Darug, Tarook, Taruk Tarug is related to the word Midyini, meaning Yam. Ngaya mirrung Buruberongal Ngaya wanjan Mulla-bu Yellamundie. For many years non-Aboriginal academics have been collecting resources for Aboriginal languages. The aim was to preserve as much of the languages as possible. There is now an increasing involvement of Aboriginal people in creating these resources and in designing how these languages are reclaimed. Due to this push, many language resources are often available now on CD, in simple interactive systems, and online. However, at present these language tools are fairly static. The resources and exercise are collected in one language and presented in a complete format, with all resources. What we need to cope with the vast number of dormant or dying languages, are the frameworks to share these techniques or material between language groups. This site is such an innovation, and implements the teaching paradigm developed by Richard Green, a Dharug songman, for teaching his language. This work is unique at present, but hopefully will be able to be used by other languages. The Dharug language was a dormant language. There are few speakers left, and the language was considered extinct until recently. The work to revitalise such languages is very hard, and the issues involved are very complex. What do we do when we do not know a word we need? We can borrow from a neighboring language, until someone remembers the right word. What do we do about grammar that is forgotten, how do we remake sentences, phrases, songs? Perhaps the most important issue to achieve this revitalisation of language structure is to be able to feel the language, to live on the country which the language speaks about, and to be able to think in that language. We are lucky to have Richard Green who is so impassioned and able in learning languages. The journey from written wordlists to a spoken vocabulary (see the Word List link on the top menu) and then stories and songs in language (see the Word Articles on left hand menu) is a long and hard road. For any Aboriginal or Torres Strait Islander language, the cultural data online is sparse, and much of the existing language knowledge is not easy to distribute publicly. This issue arises often from the way in which resources have been collected. If Indigenous people can themselves nominate the interface and context of where the knowledge is shared, and this can be guaranteed, then the process of providing access will be carried out by the knowledge holder, and not reliant on researchers to continually recheck as the situation changes for how knowledge is used. Online content management systems like this site, where many people can upload their own resources to support language learning. Mobile devices that can be used to record data on location to upload and share. Software to load on the phone which overlays information on the real world images you see on the phone camera. so that information can be given to you on location. Software to take sentences in one language and write the text in other languages. Richard Green has taken a major step in acquainting himeself of what is poosible in Information Technology, and getting it tailored to the needs of his language. We hope many other groups will take advantage of the open-source free software that is availalbe, and have it altered to suit their specific needs. 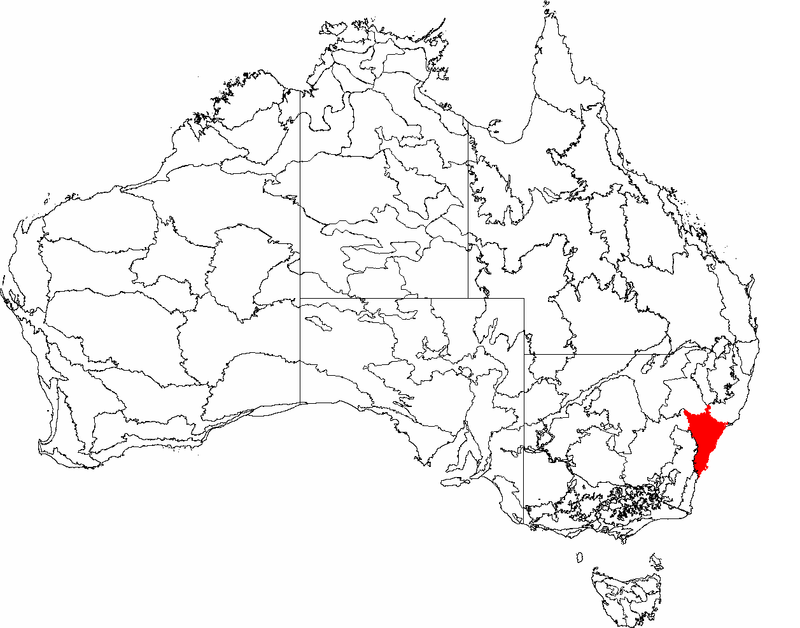 Since the late eighteenth century, people with an interest in Aboriginal languages recorded that the Sydney Language was spoken by Aboriginal people who lived in a wide area radiating out from the southern shore of Broken Bay to the Hawkesbury River and down to Botany Bay. However, there are no longer any people who use the language in full either in that area or anywhere else in Australia. Without any living full language speakers to turn to for advice, the only sources of information about the language are historical records. Most of the surviving records of the language were produced by literate people who arrived in the late eighteenth century with the early colonising fleets from England. The sources of information about the Sydney Language provide us with many interesting descriptions of the lifestyle of the speakers and the effects of the British settlement on their lives. Their texts record some of the earliest conversations between Aboriginal people and the first non- Aboriginal people to settle in Australia. Therefore, the texts provide modern readers with some insight into the attempts by Aboriginal and non-Aboriginal people to understand each other and to explain their own viewpoints. Some commentators even illustrated their notes with pictures of the people, their cultural life and the environment in which they lived. When analysing a language it is normal to discuss its phonology or sound system. Phonological analysis requires at least some access to the spoken language and this is not available for the Sydney Language, except for limited words, and through people's memory. In the case of the Sydney Language we have based this site on the orthography developed by Jackelin Troy (her book is under References on this site). This was done in an attempt to overcome orthographic variation in the archival sources for the Sydney Language and provide standardised reference forms for the data. Grammatical analysis of the language would be very difficult without a means for standardising the data. The reference forms are phonetic rather than a sound spelling variation based on word meaning, as was recorded in archival material. These phonetic forms are a suggested guide to pronunciation.